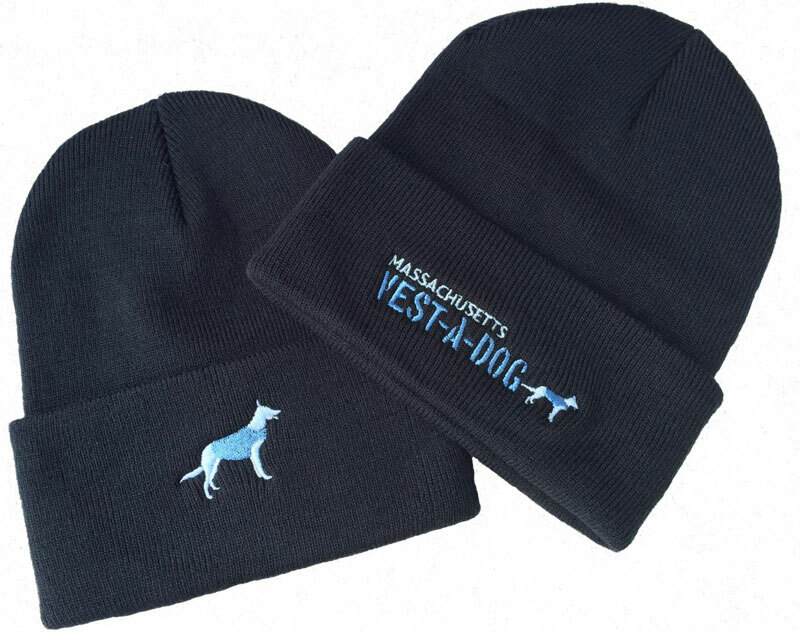 The black acrylic winter hat has a double layer to help keep ears extra warm! Choice of Vested dog logo only or Full MA Vest-a-Dog logo. Adjust the quantity after adding to the cart.